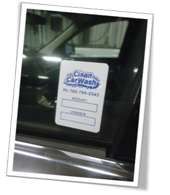 The Clean Car Wash specializes in corporate accounts for small, mid and large sized fleets. Regardless of your fleet size, we have a tailored solution for your company. Call us today to discuss options for your fleet. 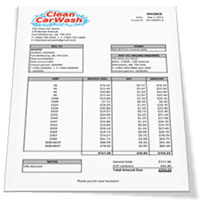 Large fleet customers receive a volume discount that is automatically deducted from your monthly invoice. Our monthly statements and customer log reporting allow you to receive every transaction in detail and track individual purchases creating the accountability necessary to monitor your fleet and its expenses. Quick and simple to use. Companies can top up their fleet card onsite with credit, debit or cash (and receive a printed receipt). Also, companies can top up their fleet card by phone using a pre-authorized credit card. Keep control of your employee purchases with enhanced fleet security solutions. From product purchase restrictions to individual employee tracking to ID and vehicle verification, our solutions maintain control and protect your costs. Located just off of Highway 63, offering excellent access to vehicles that are commuting to and from oil sands sites. Time = Money. Don`t wait in line. 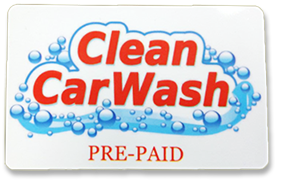 With 12 self-wash bays and convenient location, you won`t be waiting in line to wash your vehicle. Our extra-large wash bays can handle the largest passenger vehicles including F-450s, vans and small buses (24 passengers). In addition to self-wash services, we offer a variety of cost effective interior and exterior detailing services, including under-carriage washes to remove heavy mud and debris collected while on site. © 2017 Clean Car Wash. All rights reserved.